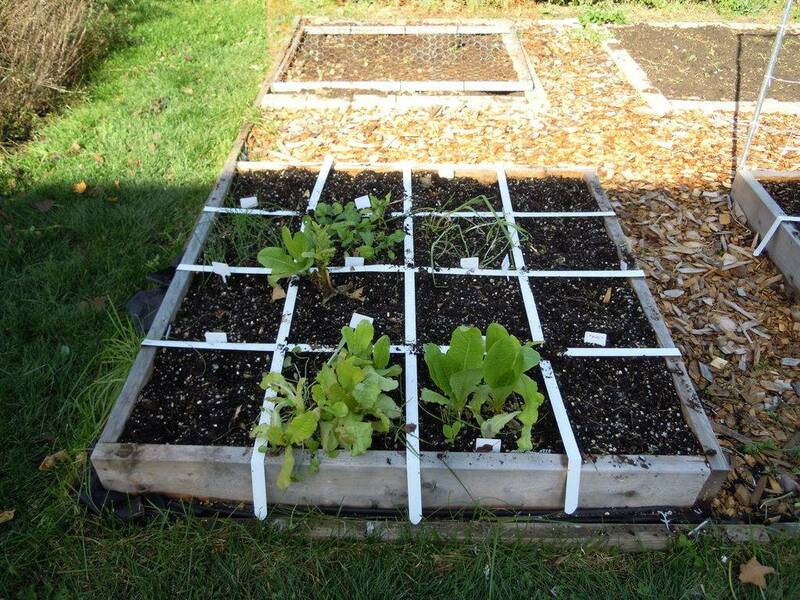 @trolleydriver wrote: - A raised bed for standup gardening that can be positioned close to the door of the house and used to grow such things as herbs and lettuce. It's fun to step outside when cooking and snip fresh herbs. I have a 1 x 4 table top but wish I had a 2 x 4. Parsley, cilantro, oregano, thyme, tarragon, basil, lemon basil, lemon grass, mints. I planted 5/4 sq ft.
sanderson ... if I recall correctly it was you who suggested a table top for herbs not long after I started my SFG. Tks for the suggestion. Now I have to put it into practice. I would really like to get the herbs out of my other SFG boxes. 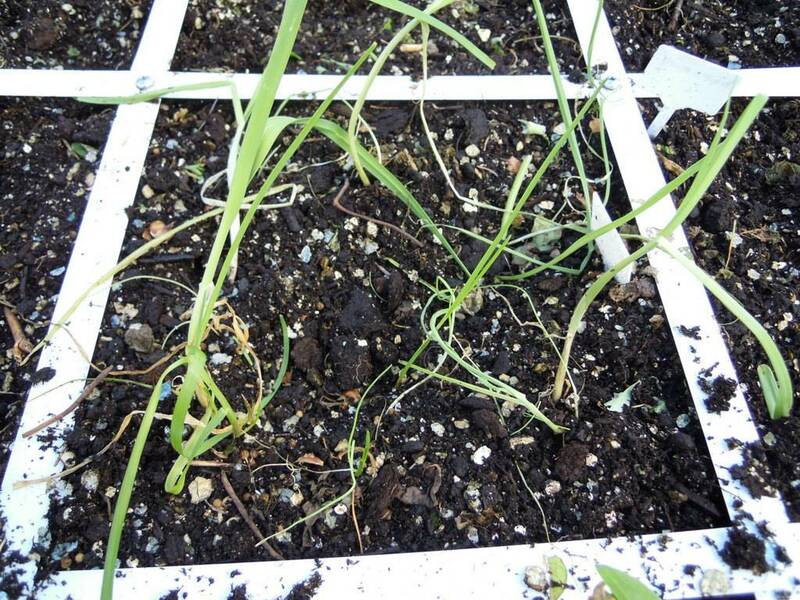 The herbs grew so well that they took over their own squares and flopped over into the adjacent squares. Now if only I could get my peppers and eggplant to grow that well in the SFG. TD, another option would be buckets stacked on top of each other. There's lots of pictures if you do a google search for vertical gardening. That's what I'm planning to do with my herbs this year. AM ... another great idea. Tks. I've been thinking of a wheelbarrow garden. 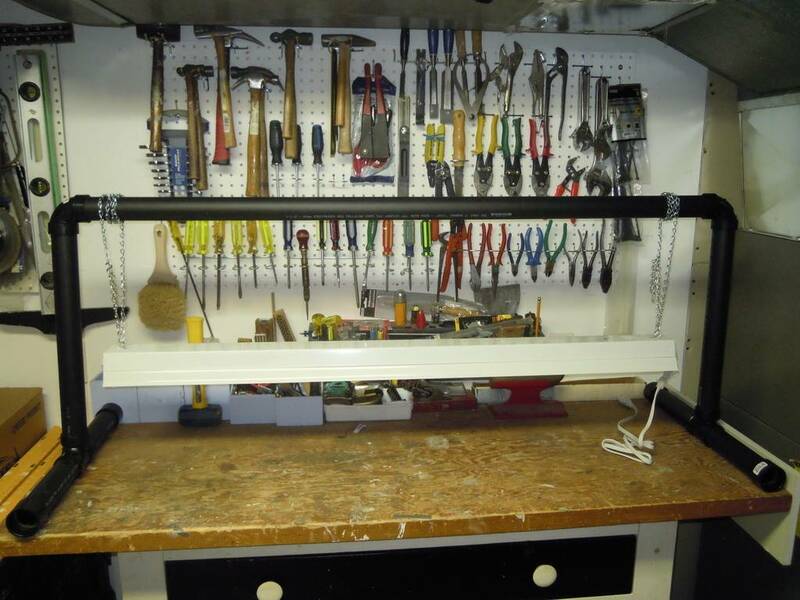 Today I purchased the materials (ABS pipe and fixtures, 4 foot fluorescent shop light, etc.) to make a grow light stand. 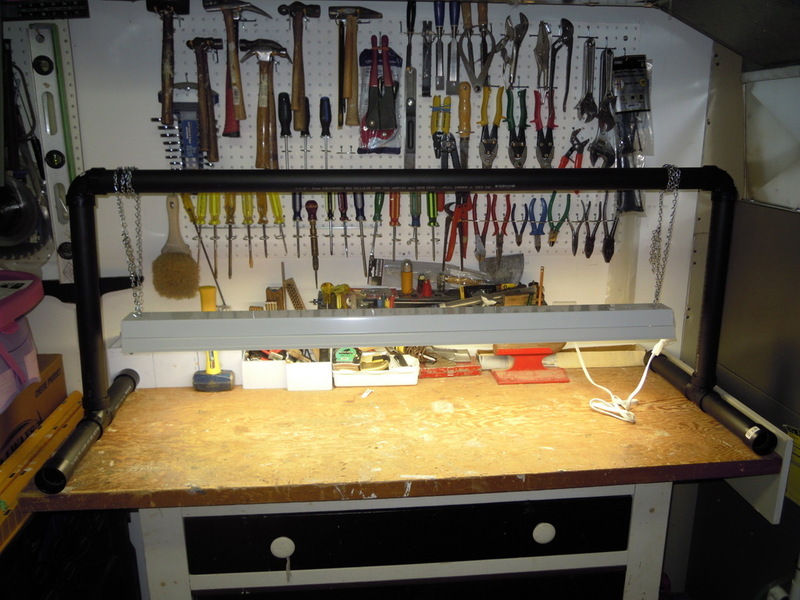 We don't have a lot of room available so it may have to reside on top of my workshop workbench which could be problematic when it comes to other projects during the Winter and Spring months. It's done. Just need to adjust the chains since they are too long. The bulbs are T8 32 watt each. I really don't like the idea of having it in my workshop especially if it creates a humidity problem. Yippee! I just noticed that the number of views on this thread now exceed 10,000. Thanks SFGers. Fred ... no glue. I want to be able to take it apart and store it. I may put in some screws if it gets loose. Looking good TD. Next year you can upgrade to using these to raise and lower the lights instead of the chains. 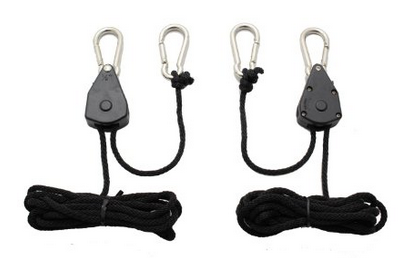 These are great for raising and lowering lights. I hated the chains especially as the seedlings began to grow at different rates and then having two shifts of plants growing I kept having to raise and lower the lights. I think I'll try a crop of microgreens under my new grow light. Mrs TD will be happy not to have the microgreens growing in the living room window. Wonder if I can grow some spinnach to use in green smoothies. I think it is time for me to bring this "A First Time SFG in Canada" thread to its conclusion. It's been a great year and I have learned so much from Mel's books, from my friends here at the forum and from my own experiments. Now it's time to start looking forward to next year. Last frost date for Ottawa in 2016 is May 6 but for tender plants like tomatoes we often do not put them in until Victoria Day weekend which is May 21-23 in 2016. What will I plant? What will I start indoors? How many SFG boxes will I have? Many things to consider. 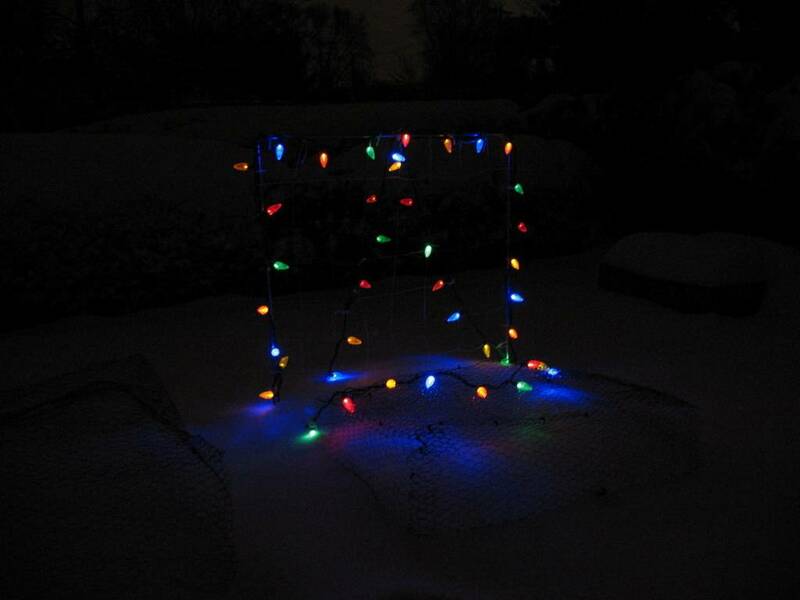 The SFG trellis lit up for Christmas 2015. @trolleydriver wrote: Doing a little more work on the SFG boxes today. There are still a few squares that are occupied as seen in the photos below. I'll be adding compost to the squares and planting tulip bulbs and garlic cloves. 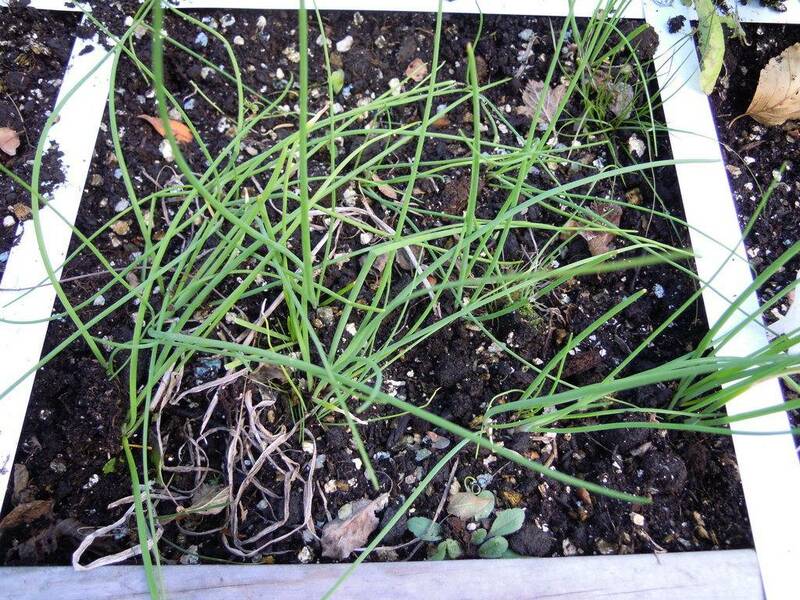 Chives which will be left in over the winter. 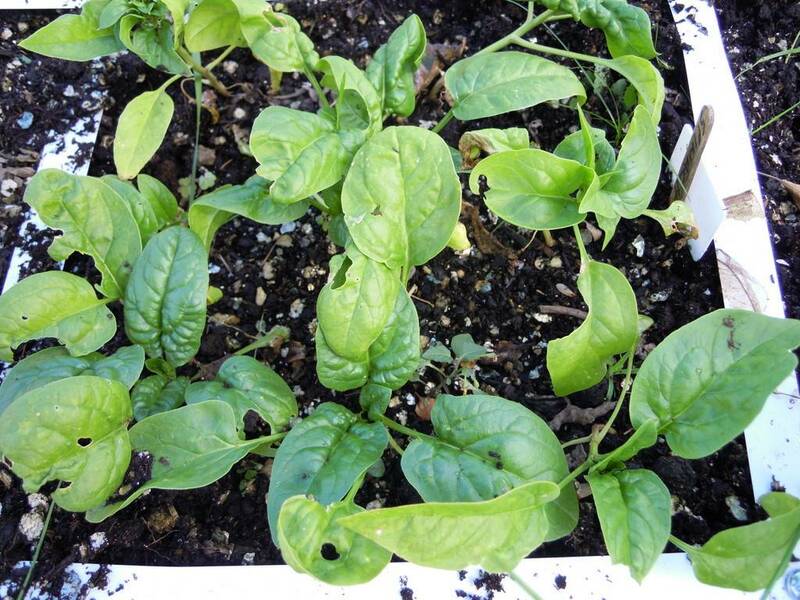 Spinach which will be harvested for green smoothies. Leeks which will be left in over the winter to be harvested in their second season (hopefully). 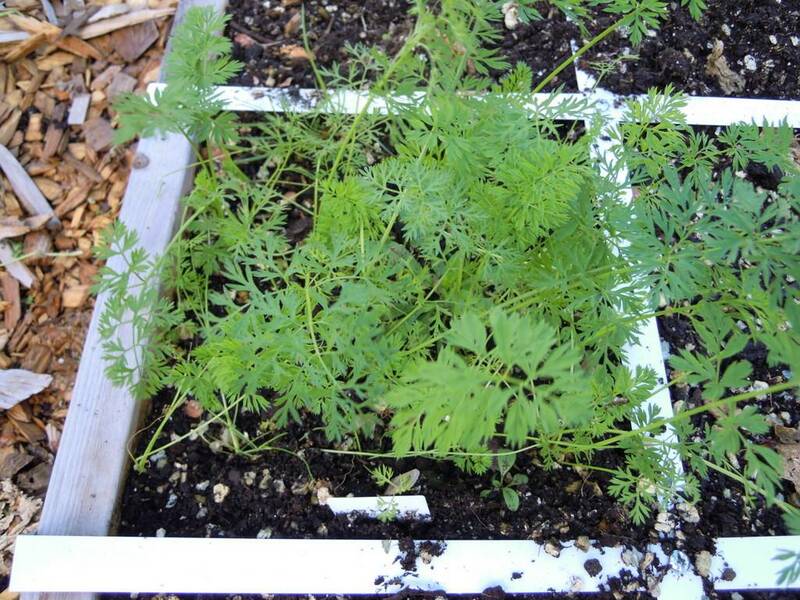 Carrots which are not doing well below the ground and so will most likely be harvested for green smoothies. What remains of the swiss chard which is being harvested for green smoothies. I'll keep this going as long as possible. Overall view of Box #1. Overall view of Box #2. 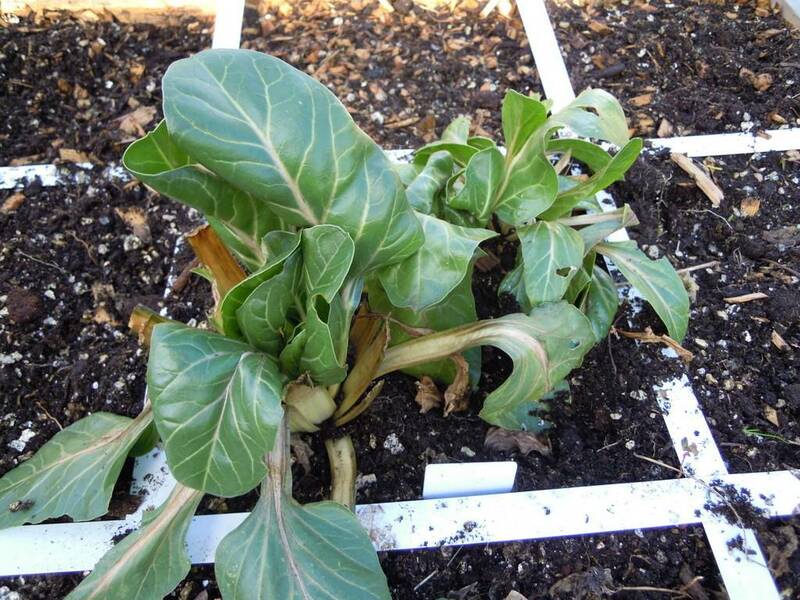 Mini cabbage harvested today during the cleanup. 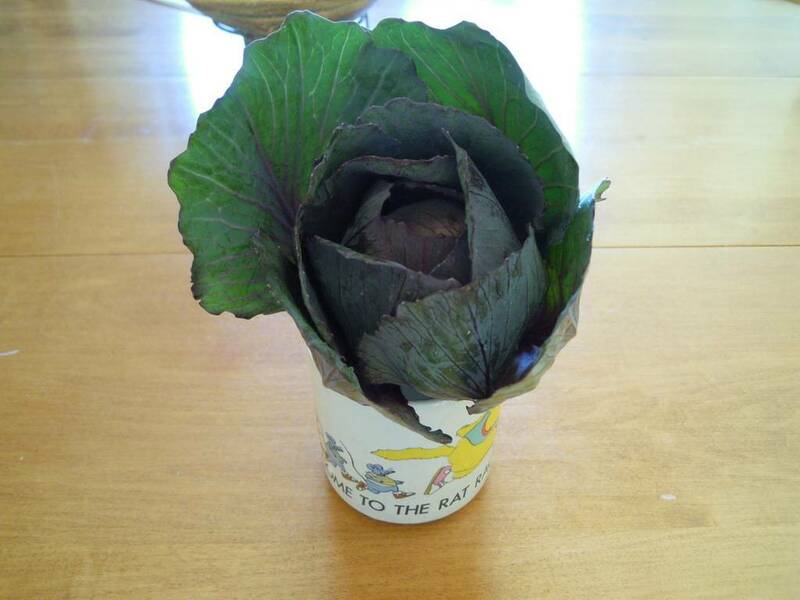 This grew from the root of the large red cabbage that was harvested some time ago. What did you use for your grid? ST the grids are made from aluminum slats from venetian blinds. They are connected with short bolts at the intersections which adds enough weight to prevent them from being blown away in the wind. I like the look of the bright white of these grids against the darker coloured MM. The downside is that they bend too easily. I think I'll look into that for next year. 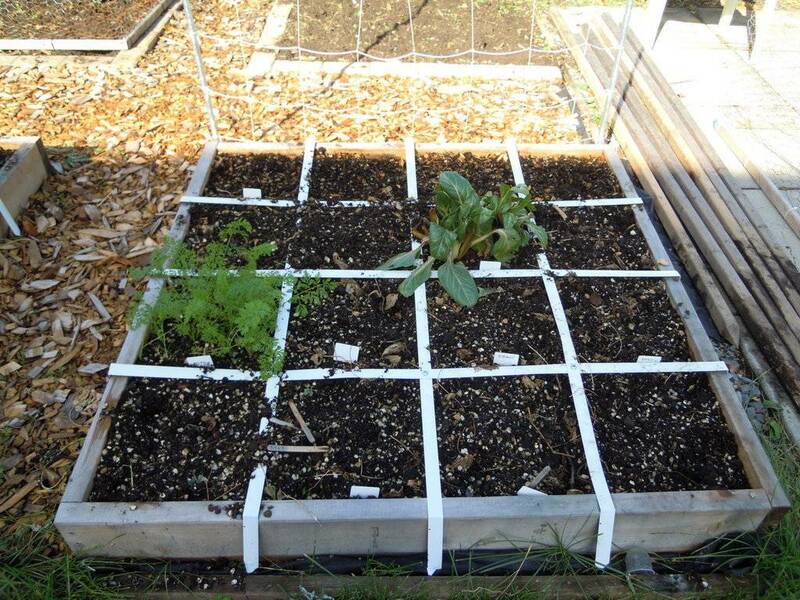 I was running so late getting my garden up and running this year, that I wasn't able to get a grid set up at all. I also don't like thick grids cutting into my growing space. @SwampTroll wrote: I think I'll look into that for next year. You can get the blind slats from thrift stores very cheaply.